﻿ Hotel Sant' Antonio, Alberobello | FROM $51 - SAVE ON AGODA! "Staff was very friendly and helpful." "Free breakfast small buffet, free parking near by, excellent location." 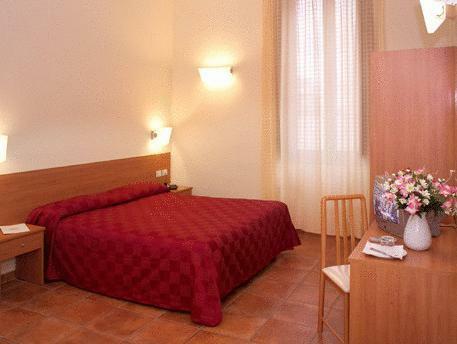 "Elevator was located on 1st floor and was accessible to the..."
Formerly the quarters for the clergy of Sant' antonio parish, this clean and simple hotel is superbly located for exploring historic and picturesque Alberobello. 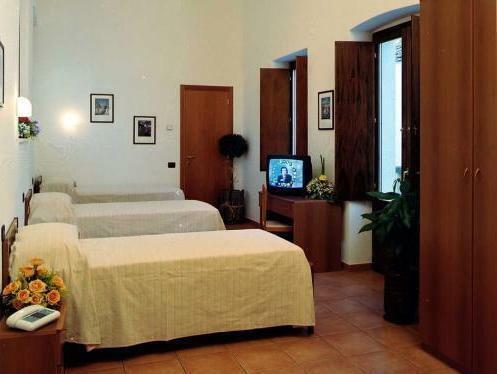 The Hotel Sant’antonio is glad to offer a hospitable welcome to tourists and pilgrims. This building was a summer seminary for the church, making it an excellent place for a calm recharging. The hotel is ideally placed for visiting the trulli houses of the town and the Basilica Santi Medici, among other cathedrals. Walk the pleasant 300 ft to discover the wealth of restaurants that the town has to offer. The staff is happy to recommend a place to eat and to make reservations on your behalf. Return to the calm of the hotel, where the owner’s beautifully composed photographs of his beloved Italy hang elegantly on the walls. Located at the tourist attraction (30seconds walk) Trulli's. 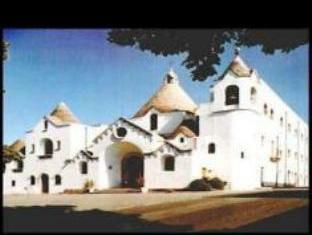 Walk the tourist Trulli Zona and visit the church next door. Approx 3 mins walk from city center. Detached parking area, within 2 mins walk from hotel at no charge. Breakfast was small buffet, continental style included in the hotel price we paid. Room was very large; shower and toilet private. Hot and cold water with steady stream of pressure. Staff was very friendly and helpful. 24 hours staffed. Elevator was located on 1st floor and was accessible to the second floor (more rooms) and breakfast. Stairs only from ground floor to 1st floor. No bell boy to service you. You would have to carry the suitcase yourself. No pool in hotel. Located at the tourist attraction (30seconds walk) Trulli's. Walk the tourist Trulli Zona and visit the church next door. Approx 3 mins walk from city center. Detached parking area, within 2 mins walk from hotel at no charge. Breakfast was small buffet, continental style included in the hotel price we paid. Room was very large; shower and toilet private. Hot and cold water with steady stream of pressure. Staff was very friendly and helpful. 24 hours staffed. Elevator was located on 1st floor and was accessible to the second floor (more rooms) and breakfast. Stairs only from ground floor to 1st floor. No bell boy to service you. You would have to carry the suitcase yourself. Free breakfast small buffet, free parking near by, excellent location. We stayed in Alberobello for 2 nights to explore this beautiful town and the surrounding area. We enjoyed our stay at Hotel Sant Antonio. The location was ideal and it was great value for money. The breakfast was good and staff very helpful. Other guests seemed nice too. Can recommend this place. Хотелът беше удобен за целта на посещението ми в Алберобело - централно разположение. Стаята беше просторна и чиста. Хотелът разполагаше с паркинг, макар да не беше в непосредствена близост.